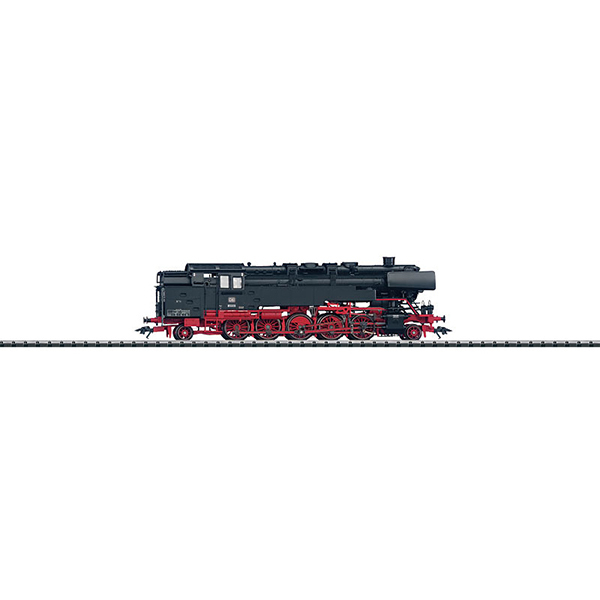 Prototype: German Federal Railroad (DB) class 85 tank locomotive. Era III. Model: The locomotive has an NEM 21-pin digital connector. It also has high-efficiency propulsion. 5 axles powered. Traction tires. The triple headlights change over with the direction of travel. The locomotive has NEM coupler pockets. Length over the buffers 18.6 cm / 7-5/16.